Smart Visoglide plus thin frame aluminium patio doors installed in London. 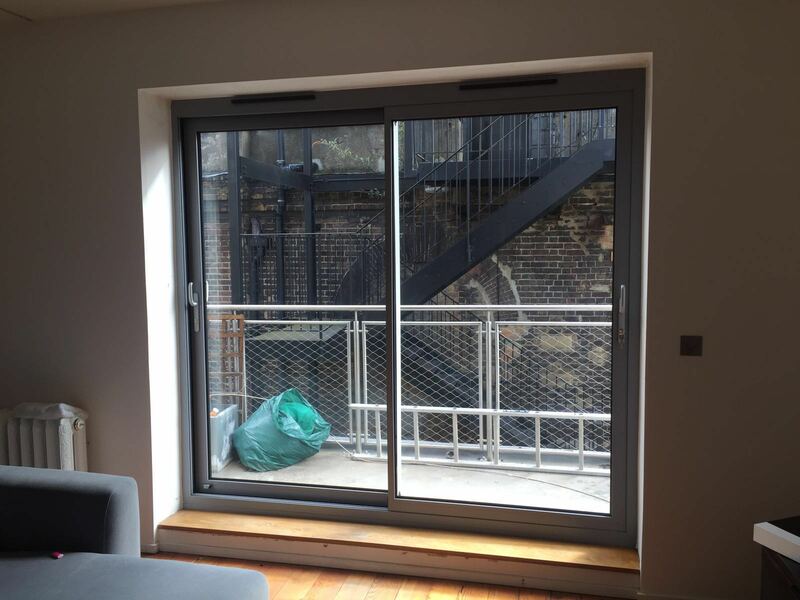 For this apartment in London, our Smart Visoglide Plus thin frame aluminium patio doors, with their 35mm central mullion, were totally fit for purpose. Many of our customers come to us wanting the ‘Grand Designs’ slim frame aluminium windows and doors look and modern feel. It’s great that now, using Smart’s new 35mm central mullion thin frame aluminium patio doors, we can achieve just this, very cost effectively. There are of course other more architectural products on the market with slimmer sightlines, but are well out of most peoples budgets. This customer came to us looking for a very slim architectural looking thin frame aluminium patio doors system. We provided quotes for all of the systems we can provide, including the Schuco ASS70HI lift and slide door, the Schuco ASS50 slimline, Smart Slide 2000 and finally the new Smart Visoglide Plus 35mm slimline. In the end, the customer decided that the Smart Visoglide Plus with 35mm slimline mullion was the best fit for the job in terms of both product and price. It was then just a case of choosing a colour. In the end, they chose RAL 7001 matt, which as the photos show, is a light grey with a hint of blue. As this central London apartment was getting quite damp, we suggested using trickle vents even though they weren’t required for building regulations strictly speaking. The handles are SAA (satin chrome), which are very popular with our customers as they are fingerprint proof. We fitted the doors with our standard Saint Gobain Planitherm Total Plus glass, clear, low emissivity and toughened safety glass. Timescale wise, we were up against it as the customer was heavily pregnant and the proposed fitting date was very close to the due date.The apartment is situated on second floor so it would involved walking the fairly heavy glass units up through the building into the apartment, which was quite tome consuming in itself. Fortunately, we got the items installed in time over the space of a day and removed and recycled the old doors. The end result is exactly what the customer was after and we are really pleased with this central London installation.